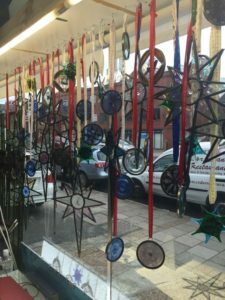 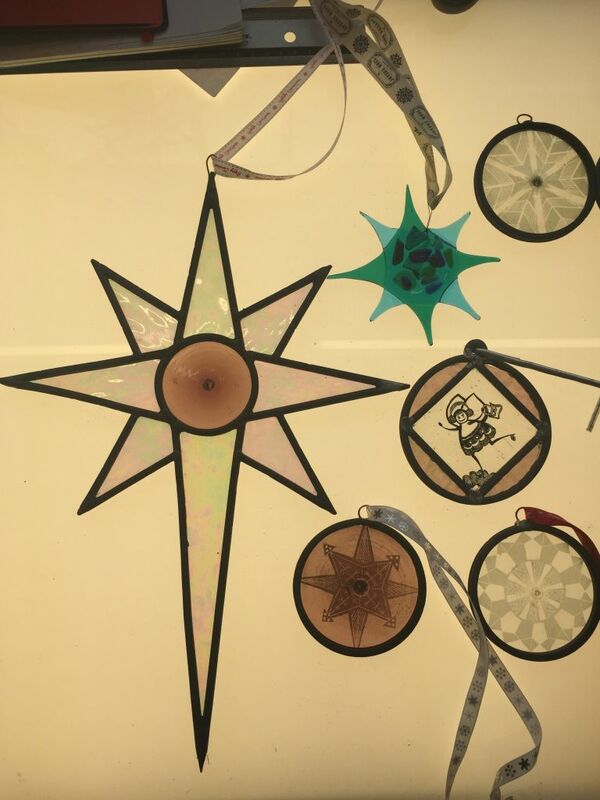 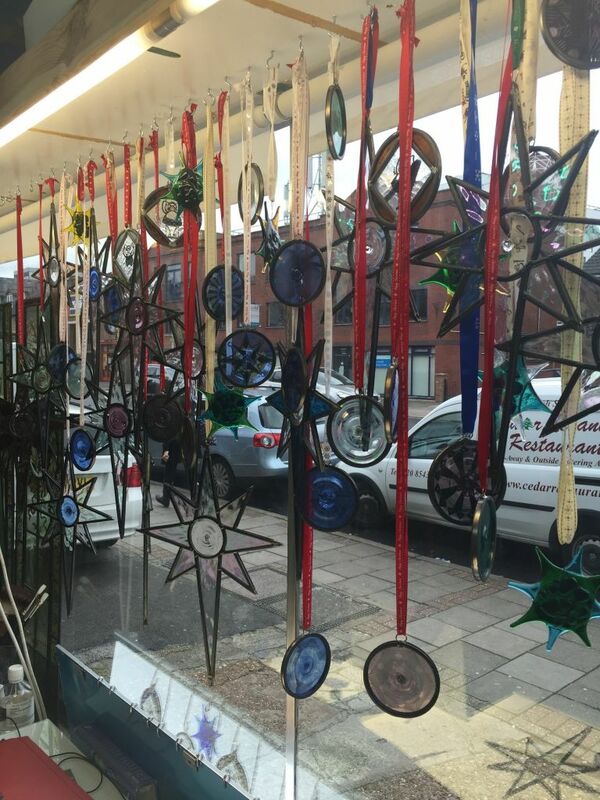 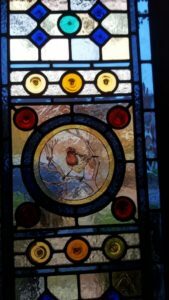 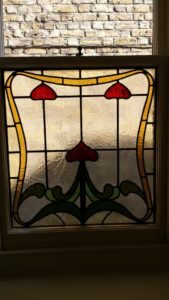 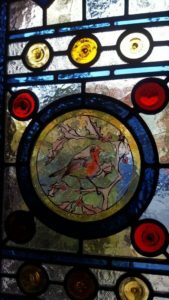 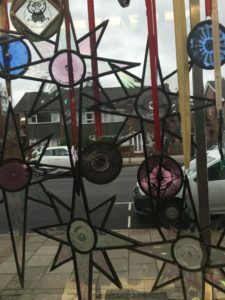 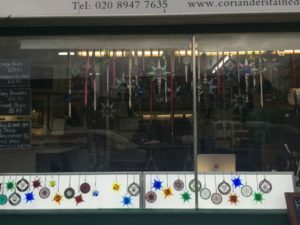 Welcome back to the Coriander Stained Glass blog! 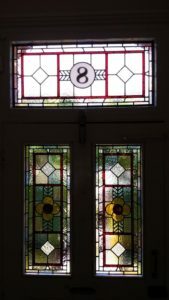 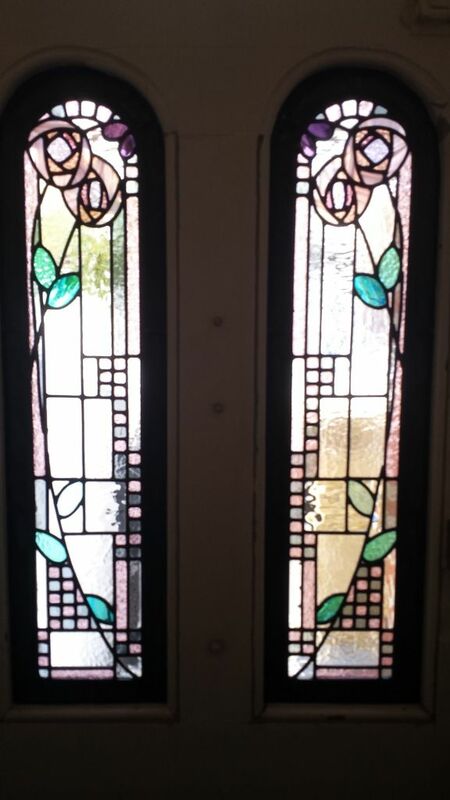 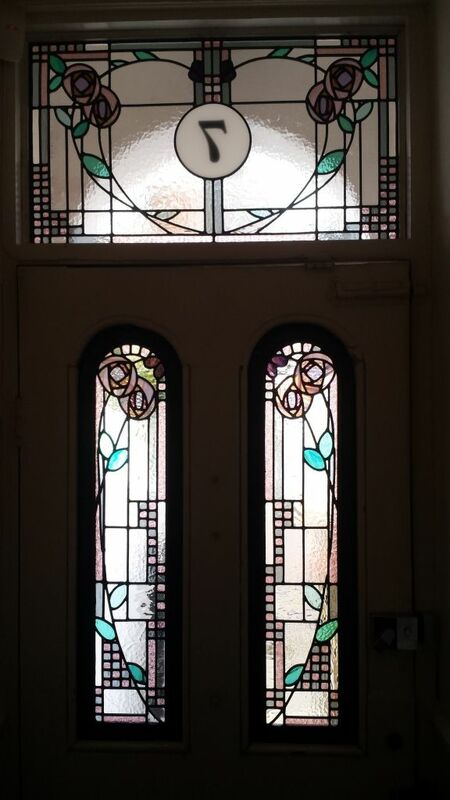 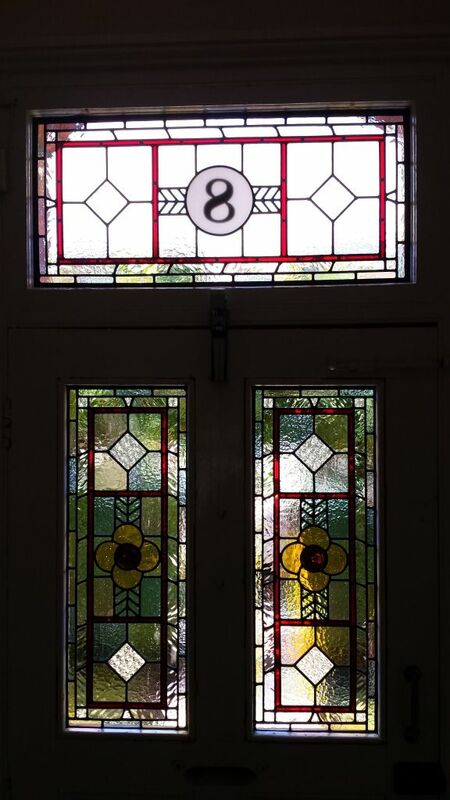 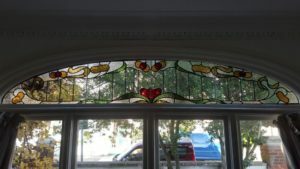 Today we have some Victorian geometric residential front entrances and some Edwardian restored stained glass to show you. 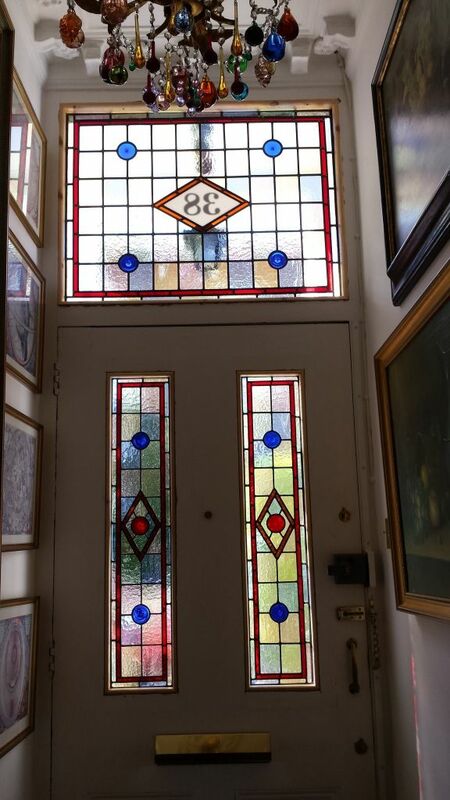 These Victorian geometric residential front entrances were fitted in homes in London and Reigate, Surrey. 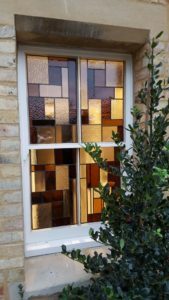 They replicate traditional designs with the individual customer’s choice of glass colours and textures. 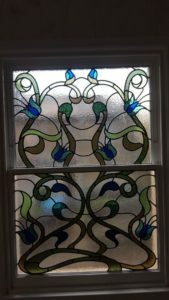 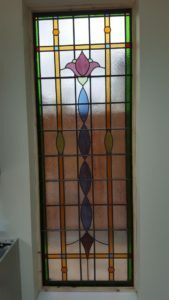 Here are a couple of photographs of windows we recently made with a mixture of Edwardian restored stained glass and new traditional panels made to replicate the Edwardian style. 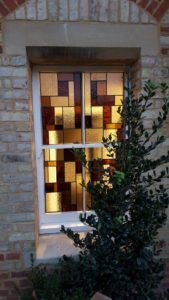 Recently, in Ealing, West London we did a project which involved decorating and obscuring a cloakroom window. 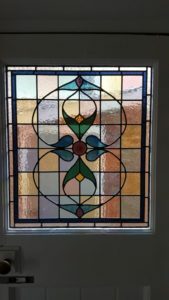 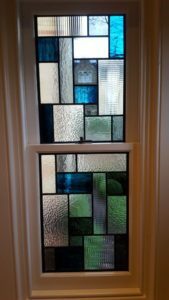 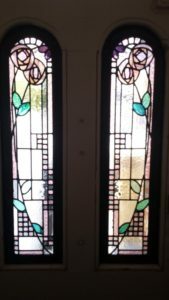 We have taken the design of this window and used glass to match with the original stained glass already in this period home. 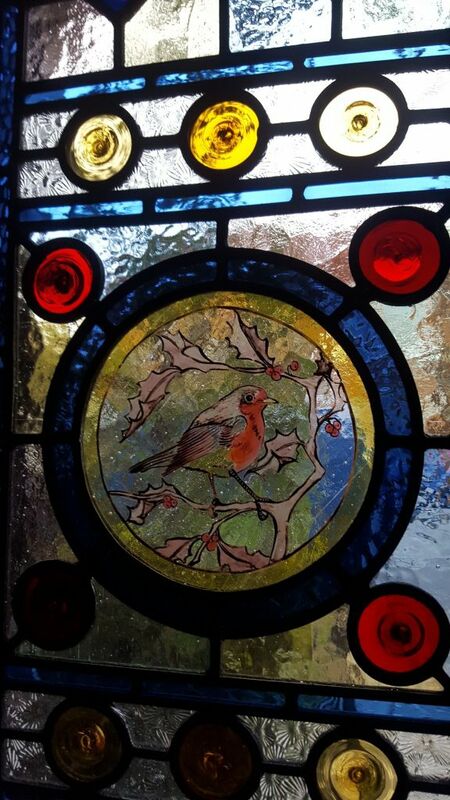 The blossom is now starting to appear on the trees and we cannot wait for Spring to finally appear and for all of the projects to come with it. 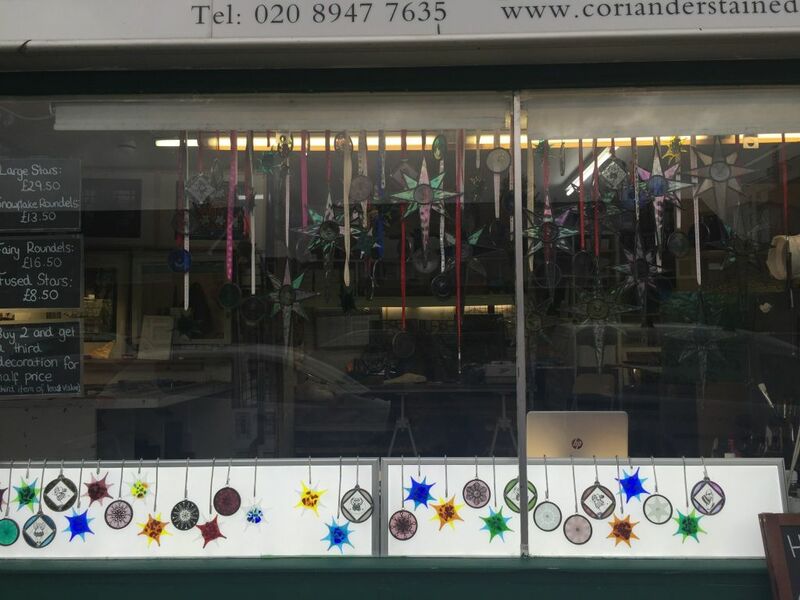 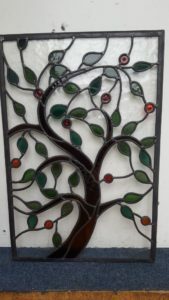 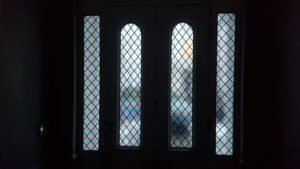 For more recent projects and news, stay posted on the Coriander Stained Glass website. 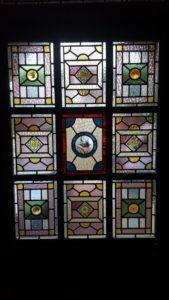 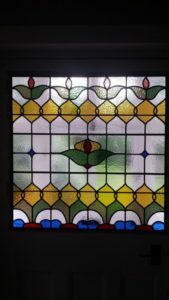 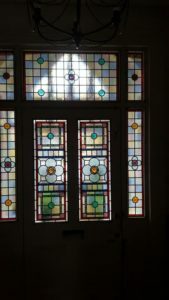 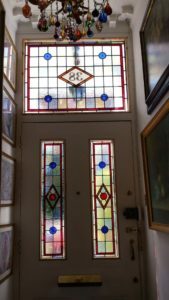 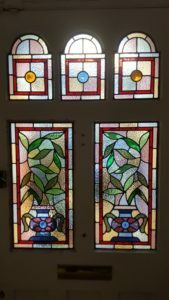 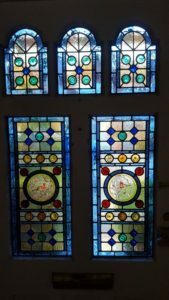 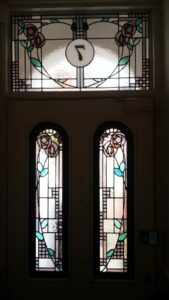 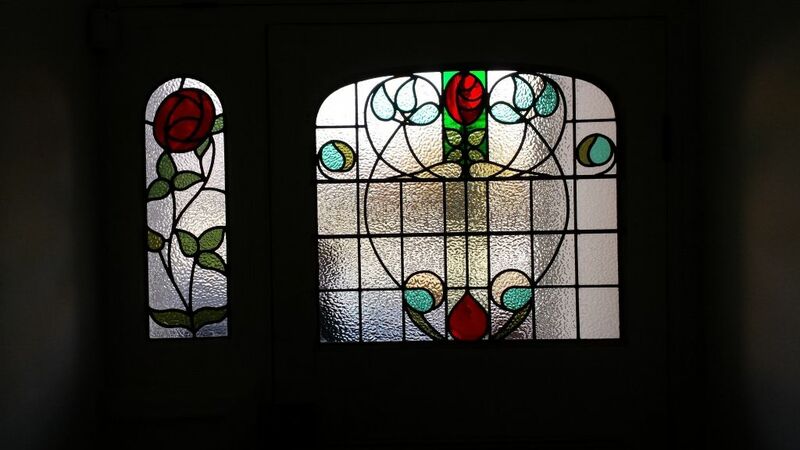 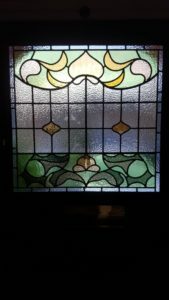 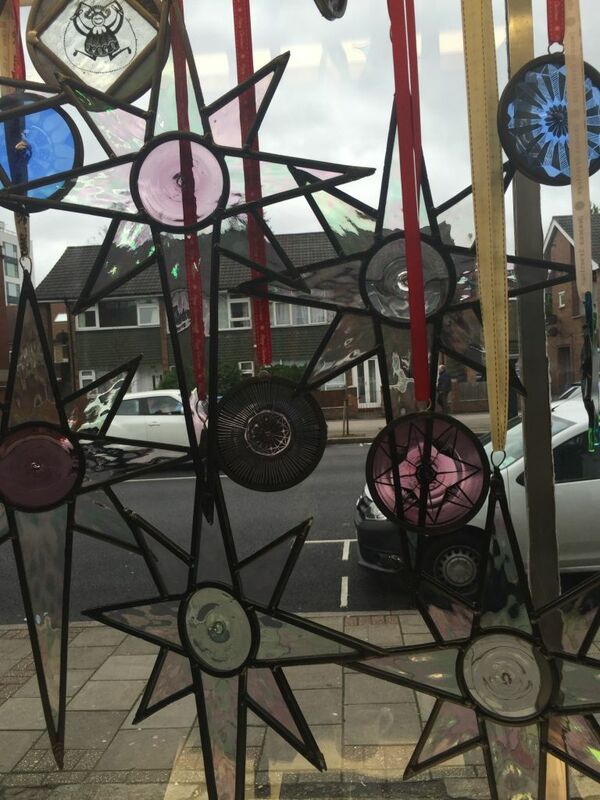 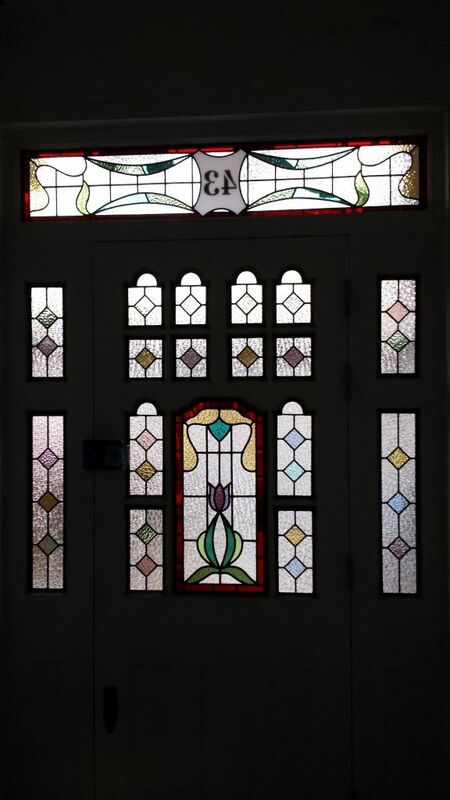 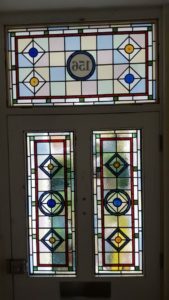 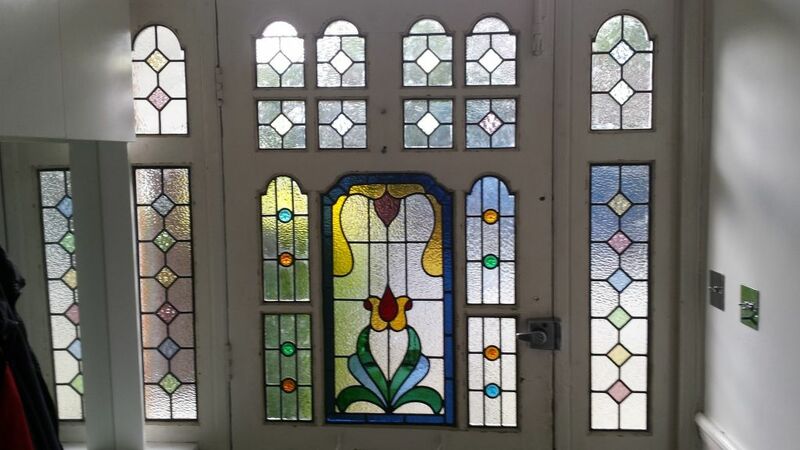 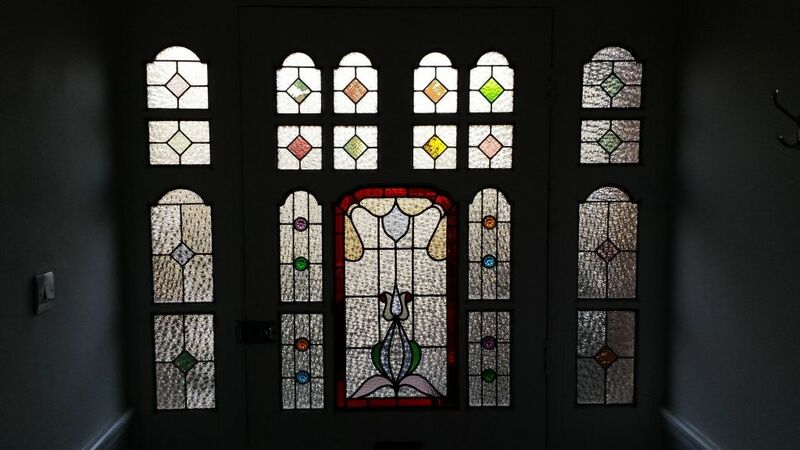 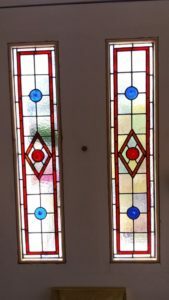 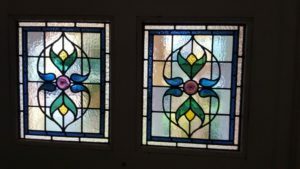 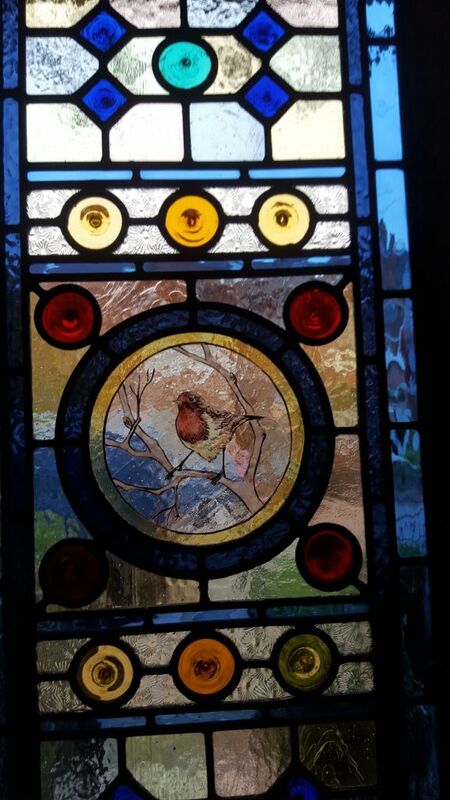 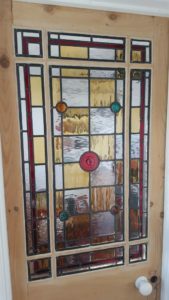 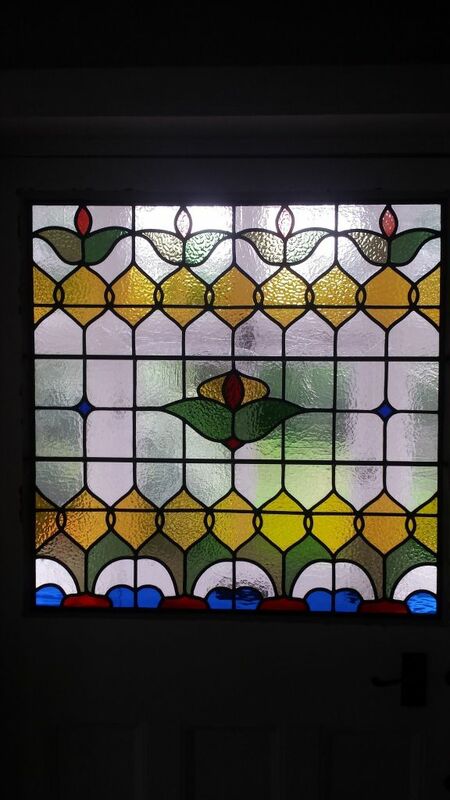 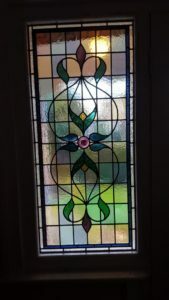 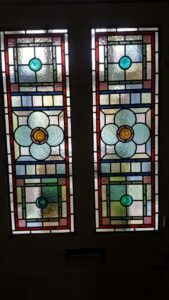 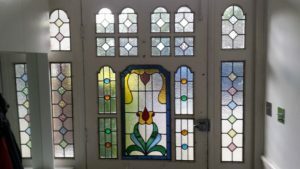 Here are some pictures of some recent projects in Wimbledon Park and on the Southfields Grid in South West London, over the last 20 years we have made and restored more traditional stained glass lead lights in this area than any other. 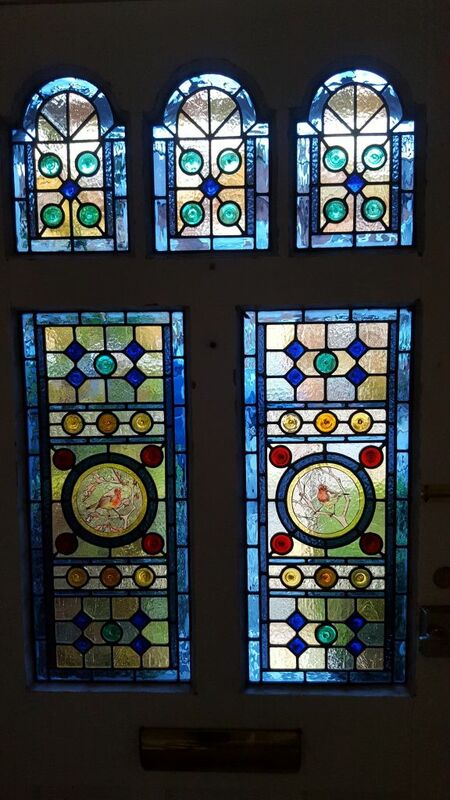 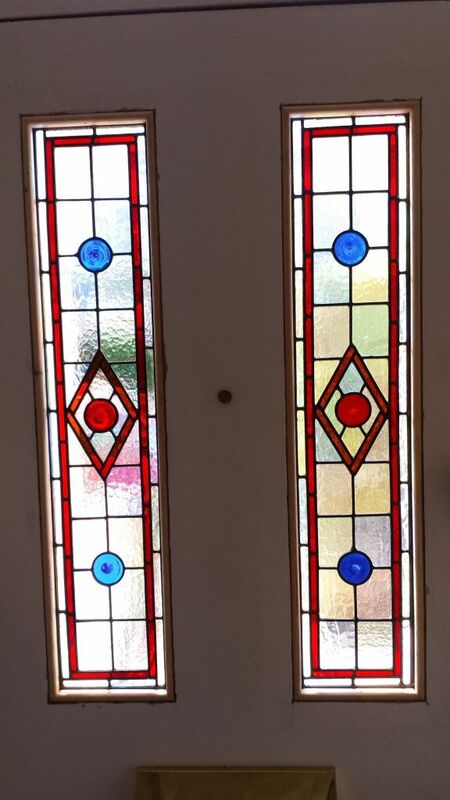 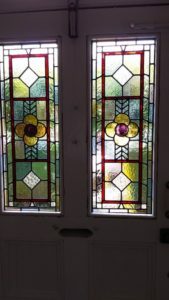 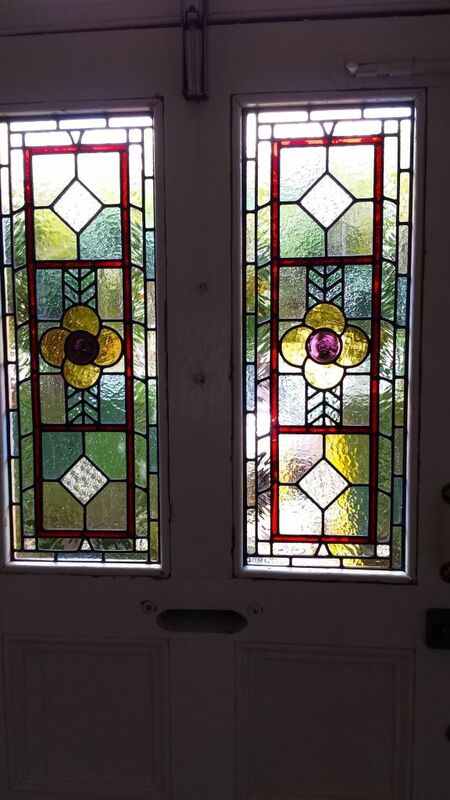 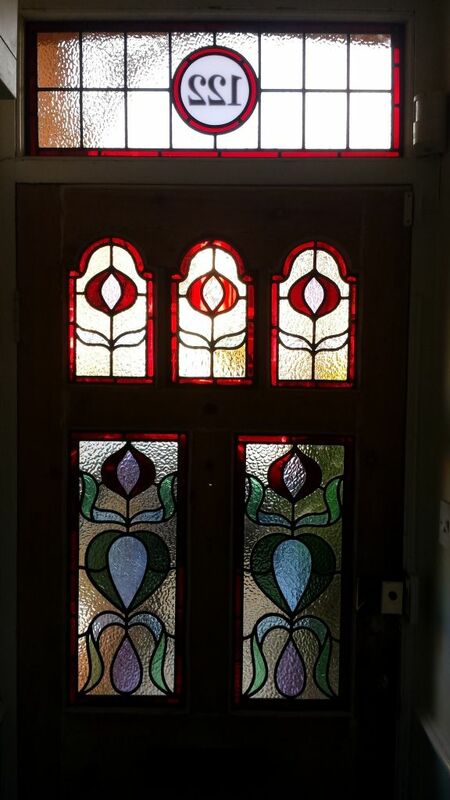 These pictures show a mixture of new and restoration work all in the traditional design and as close as we can get to the original glass colours and textures used in the stained glass front entrances when these Edwardian homes were built around 110 years ago.